Everyone always says life is about the journey, not the destination. But I think Zoraida Cordova would argue that both can be pretty awesome. 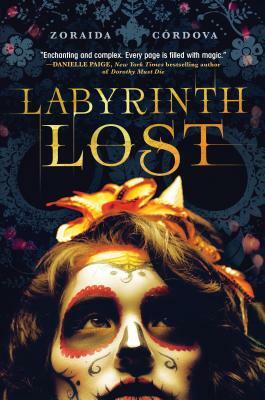 Not only is every step of this journey - from Brooklyn to the underworld (aka Los Lagos) and back again- brimming with lush detail, wild twists and turns, and witchy goodness, but the realizations and resolutions our heroes come to are heartfelt and satisfying. Family, heritage, love, power, and sacrifice all have their part to play in this breathtaking whirlwind of a book. By blending Latin American culture and elements of Wonderland with a dark note of the Underworld, Cordova creates a rich, complex, and magical world. The characters who inhabit this world are also beautifully drawn and complicated. Together, they make a labyrinth that you won't want to leave once you've entered it.